The intricacies of running a retail or restaurant business commonly get overlooked by consumers and patrons, but there’s plenty more that goes into running an operation than clothing racks and menus. That’s especially true when you start mixing businesses. Think about a Wells Fargo ATM at the local TGI Friday’s, a Redbox unit in front of a 7-Eleven, or a Dunkin’ Donuts franchise inside of a Wal-Mart. These businesses are great examples of ways the Internet of Things (IoT) changes how we live and work. However, these business aren’t affiliated with the venues they’re located at and need to process and approve credit card transactions. How can they make it work? The solution is a direct-connect cellular booster. 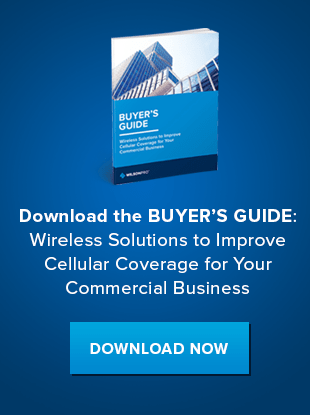 What’s A Direct-Connect Cellular Booster And How Does It Help? Let’s consider the franchise inside of a Wal-Mart. That business needs to establish a cellular or internet connection to process its debit and credit card transactions. However, more often than not, an independent franchise is not permitted to use the Wal-Mart internet connection. Instead, they need to use an LTE modem to establish a strong cellular connection and process credit card purchases. Unfortunately, in-store cellular service often lacks the strength to properly process those transactions. That’s where direct-connect cellular boosters come in. These machine-to-machine (M2M) boosters can be hardwired to a cellular modem located at any point-of-sale system taking credit card payments. A cable links the booster to the point-of-sale device and an antenna strategically positioned to optimize cellular signal. WilsonPro recently updated its Signal 4G Booster to optimize M2M installations. The five-band Signal 4G was recently enhanced with a bypass feature that maintains the cellular connection in the event of a power supply loss. While any power loss will result in loss of the boosted signal, the normal cellular signal remains. 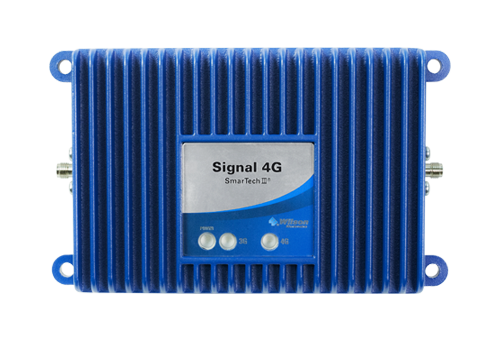 The Signal 4G is ready to integrate with cellular modems, providing reliable signal that ensures successful data transfer. The Signal 4G booster kit works with all North American wireless service provider networks and is ideal for installations in weak signal environments. Visit our retail connectivity page to learn more about how WilsonPro cell phone signal boosters can help enhance your retail business. Or, contact us to discuss deploying the WilsonPro Signal 4G Booster in your place of business. Our enhanced technology can help you process credit and debit card transactions quickly and securely.